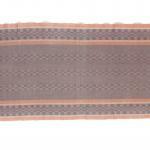 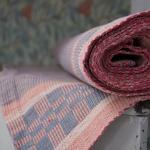 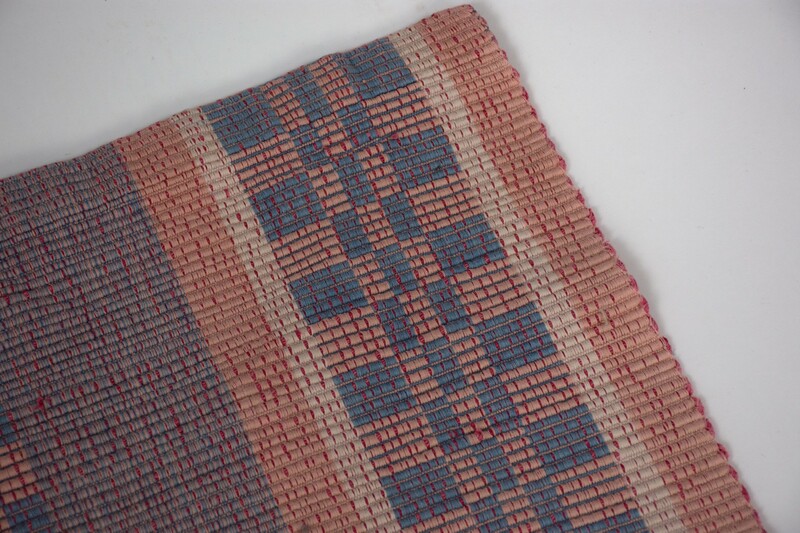 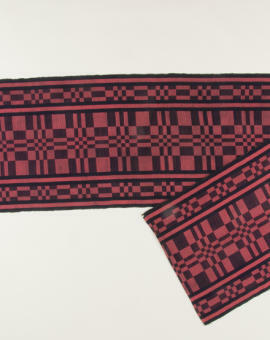 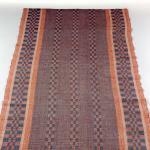 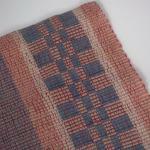 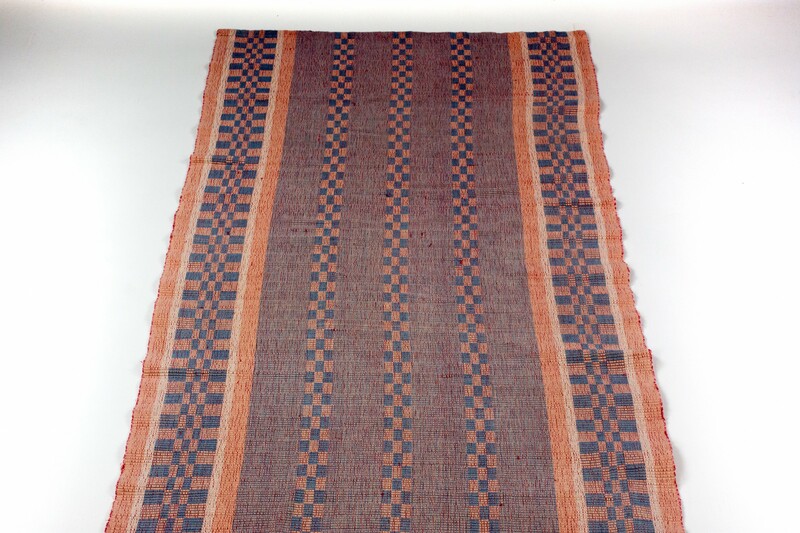 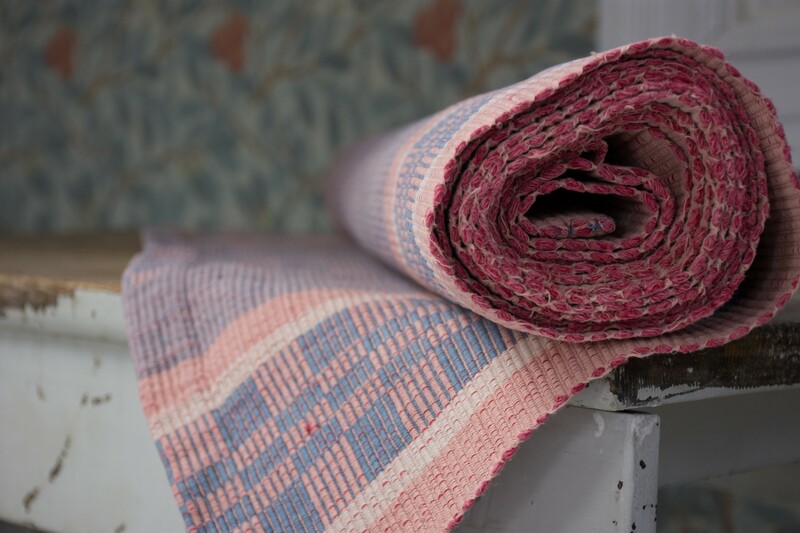 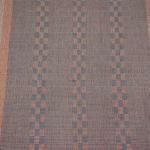 Old beautiful rips rug in soft colors of pink and blue. 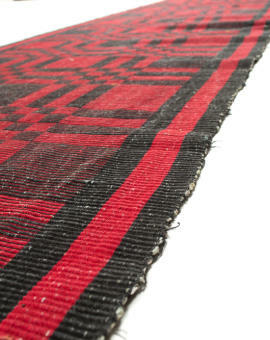 Beutiful vintage look, but good condition. 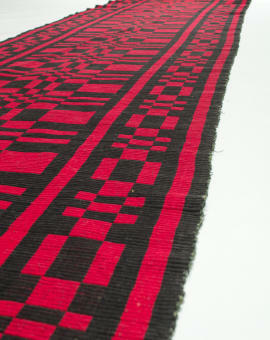 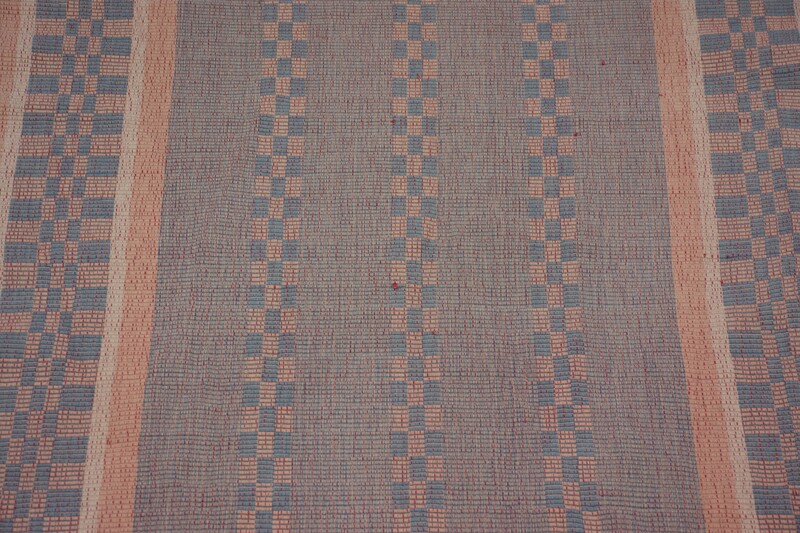 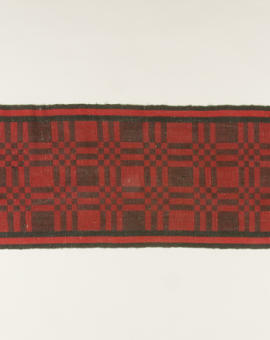 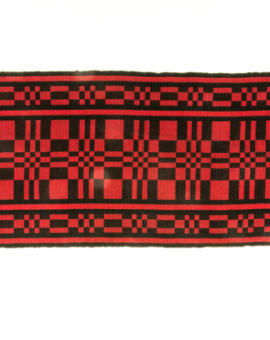 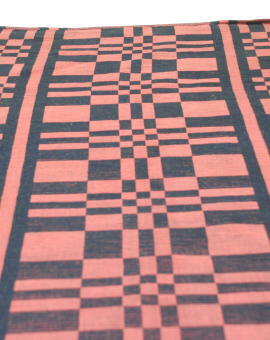 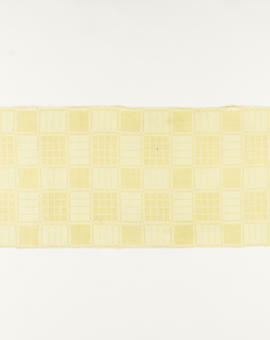 Rug Size: 284x70 cm (L x W).